A whopping three days ago, Matt posted regarding the announcement of Hyakki Castle coming to Japanese consoles via the Nintendo Switch and PlayStation 4. If we were excited then, you can only imagine how much that has increased considering the latest news on the title: it's coming West! And on the same day as the Japanese console launch! Titled Haunted Dungeons: Hyakki Castle for this release, the dungeon crawling RPG uses the Western description of "dungeon crawling," being more similar to, say, Grimrock than Etrian Odyssey. It's most definitely not a Western title though, being thoroughly seeped in Japanese folklore. If you're interested in learning more, you can read our interview with Masaru Saito (the game's producer) here. It is both developed and published by Happinet. Hyakki Castle is set during Japan's Edo Period, which stretch from the early seventeenth to late nineteenth centuries. The castle's terrain is based on Hyakki Island, a real place where prisoners were sent to live in exile during the time period. A castle appears on the island, seemingly out of nowhere, bringing with it numerous creepy monsters. On the island is a rebel mastermind who plans to overthrow the Shogun order's leader. As the player, you control four special Shogun agents who specialize in slaying Yokai (creatures found in ancient literature) and other horrors that can be found in the castle. Your goal is to kill the rebel and stop him from controlling everyone - and everything - inhabiting the island. 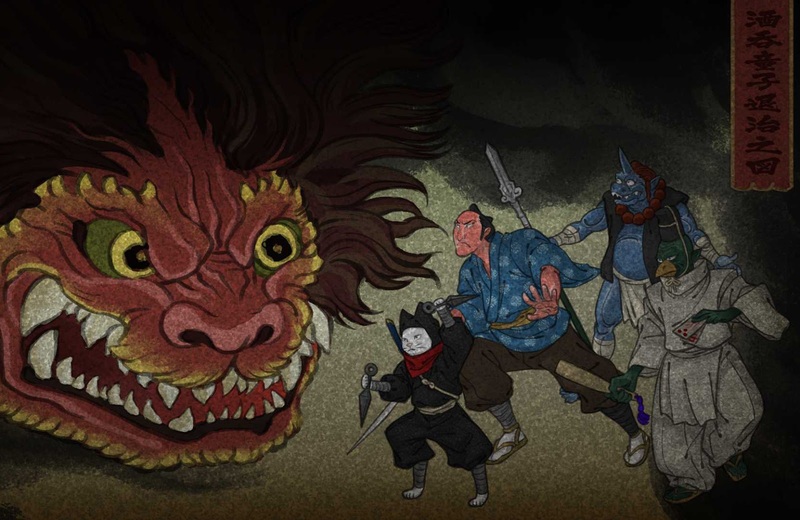 Related reading: Matt praises Hyakki Castle on PC, learn why here. In real-time, you'll have to split your party as each can only have two members, said to make strategic fights easier on console than past titles in the genre. Tactics you'll be applying include pincer attacks, flanks, distracting, and more. You'll work your way up through the tower in search of the rebel but the castle itself is nearly a monster, filled with difficult traps. The four characters are of Human, Nekomata, One, and Tengu decent, leading to an especially diverse set of skills to apply as you battle your way through the horror. The UI has been updated since the PC launch, designed specifically for both console gameplay and beginnings to the genre (real-time dungeon RPG, per Happinet). A tutorial mode will provide everything you need to know on mechanics and tactics. Haunted Dungeons: Hyakki Castle will be released on the Switch and PlayStation 4 worldwide on August 30 for $13.99 USD.